I Do More Than Just Weddings, as you can see. As an ordained minister I can & will gladly perform any pastoral ceremony you may need. All my services are done on a 'by donation' basis. You choose the amount of your donation. Traditional services include those of the Disciples, UCC, United Methodist, United Presbyterian, Churches of Scotland, Ireland, Wales, & American Baptist. Elements of any of those services & more can be used to create a custom Christian ceremony. 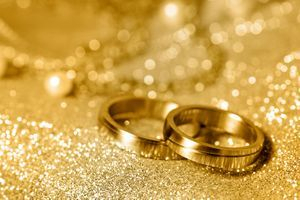 I can create any wedding service you'd like, with or without a spiritual aspect. I work with you to create the wedding you want. I gladly work with officiants of other faiths. As a veteran & member of the American Legion & AmVets, I will perform military weddings in uniform. Military weddings can be customized & as contemporary or traditional as you want as well. I also have the Scottish & Irish kilts,, & Welsh cilts to do Celtic weddings. Formal, semi-formal, or casual, the choice is yours. Traditional services available include the official ceremonies of the Church of Scotland, Ireland, & Wales. I will gladly customize your service as well. Together we will weave your Celtic heritage, or just love of things Celtic, into your ceremony to create the wedding you want. 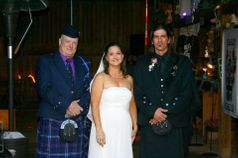 See www.kiltedweddings.com & my facebook page: Kilted Clergy Celtic Weddings & More. I am available to do baby dedication & naming ceremonies as well. As with a wedding, they can be conducted in any location of your choosing. I am available to do baptisms of persons of any age & at any location. As with weddings, I charge no fee. I leave the amount of a donation up to you. I conduct both military & regular funerals. This service will also be customized to your wishes. I will conduct the service at any location you wish. Again, I charge no fee. I accept a donation amount of your choosing.